The road to becoming a CPA is long and hard, but it's one of the most rewarding journeys you'll ever embark upon. The CPA license is one of the most highly prized credentials in the business world. In fact, every business owner relies on their CPAs to keep their endeavors afloat. Auditing, preparing tax documents, and managerial advisory and just three of many tasks you will perform for your clients over the course of your career. To qualify for your CPA license, you will need to satisfy specific requirement set forth by your state's board of accounting. 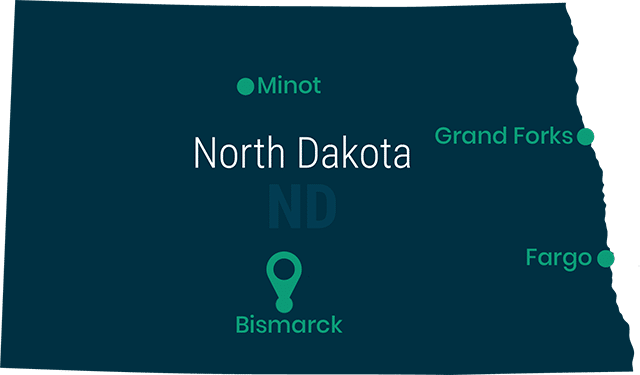 The North Dakota State Board of Accountancy's requirements are not too far from those of other states, but you still need to be aware of their specific requirements. Education is a huge part of becoming a CPA. In fact, your time spent studying will account for the largest bulk of time along the way. This is because, throughout your career you will constantly refer back to lessons you learned in academia. Then, to maintain your license, you will likely return for more classes, if not another degree. If you have attended a non-accredited institution, your credits may be accepted if they are transferred to an accredited school. If this is the case, there's a good chance that you might have to re-take some courses. Consider this a good chance to review and expand your knowledge. After all, ever CPA must be a lifelong learner. For those coming to the North Dakota Board with an education from a foreign institution, you must have each course evaluated by an agency such as the National Association of State Boards of Accountancy. Their International Evaluation Services will verify your credits for the Board. NASBA's IES is the only such evaluation accepted by up to 20 other states. North Dakota also accepts evaluations from the Foreign Academic Credential Service. In order to sit for the CPA examination, North Dakota asks that you be at lest within six months of completing your academic requirements and pay a $120 application fee. When you are ready, go to the Board's website and retrieve an application from their forms tab. The CPA Exam application includes several personal items. For instance, you will be asked to account for any name changes, previous licensure history, adult criminal history, and previous experience sitting for the exam. On top of that, you will need three references that will attest to your moral character. They will not accept family members or fellow students. Seek references from your favorite professors or any professional contacts you might have. The application also requires a 2x2 photo such as a passport portrait. You can have the photo attached when the form is notarized. Finally, you will have to send the Board your official transcripts. If you are still taking courses, you may take the exam, under certain provisions. First, you must provide a transcript that includes your current enrollment status – the courses you are taking. If you have not yet graduated, you must show a current GPA that is at or above the minimum required GPA for graduation. Before officially taking your CPA license, you must put your academic experience into action. The North Dakota Board requires that you complete a full year's worth of employment under the direct supervision of a licensed CPA. You may work in any of the following environments: government, industry, academia, or public accounting. They also accept foreign experience under a CA – if you are in Australia, Canada, Ireland, or New Zealand. The Board may accept experience from other nations, but please inquire prior to accepting such a position. As you move through this first year, make sure that you account for all of your time performing any of the above skills. Include any other pertinent information, such as the client involved or any particulars of their case or account. When you have completed your tenure and are ready to submit your experience to the licensure committee, you will need to have your supervisor sign and notarize your experience portfolio. You must pass all four parts of the Uniform CPA Examination. Complete the AICPA's comprehensive course in ethics. Work for one full year as a full-time employee, under the direct supervision of a licensed CPA. Provide all the details required for your CPA credentials. Complete the Board's education requirements. To prepare for these requirements, you will need to work with your academic adviser to ensure that you take the required number of courses. You also need to ensure that your institution is fully accredited and meets the Board's standards for quality education. Work with your accounting or business department to find appropriate internships, which may be handy when seeking to fulfill the Board's experience requirement. That is, if you start interning at a firm early enough, you might be able to secure a job while working towards full licensure. You can also start cultivating the personal contacts you need to attest to your fine moral character. Congratulations! You are a CPA. To maintain your license with the state of North Dakota, you will need to continue to learn more about your profession. During every licensure period, three years, you will need to complete 120 hours of continuing education. As of this writing, the board is considering requiring a minimum of 20 CPE hours per year. This conforms with the AICPA's requirements, which is an association you are likely to join. CPEs can also be awarded as a result of personal research and writing. That is, if you have an essay or book published, you can receive credit for that. You can also receive credit when you give a lecture or teach a course. This might be full-credit course at a university or a continuing education class on finance at your local community college. Note that you may only count the first course or lecture towards your CPE requirement. That is, if you lecture on auditing, you cannot use that same lecture multiple times to satisfy the Board. In case the Board ever has a question regarding your CPEs, you should keep records of all of your coursework for at least five years. For every course, make sure you have a note of the time, place, instructor, sponsor (association, college, etc), certificate of completion, and the total number of CPE hours you claimed for that course or lecture, etc. A career in accountancy can take you to many different places, but you'll never forget how you first attained your license. With the above information, you will be on a smooth track to success. Congratulations!